Following last week’s post, we’re taking a look at yet another entry in this beloved review series of hard cider beverages. 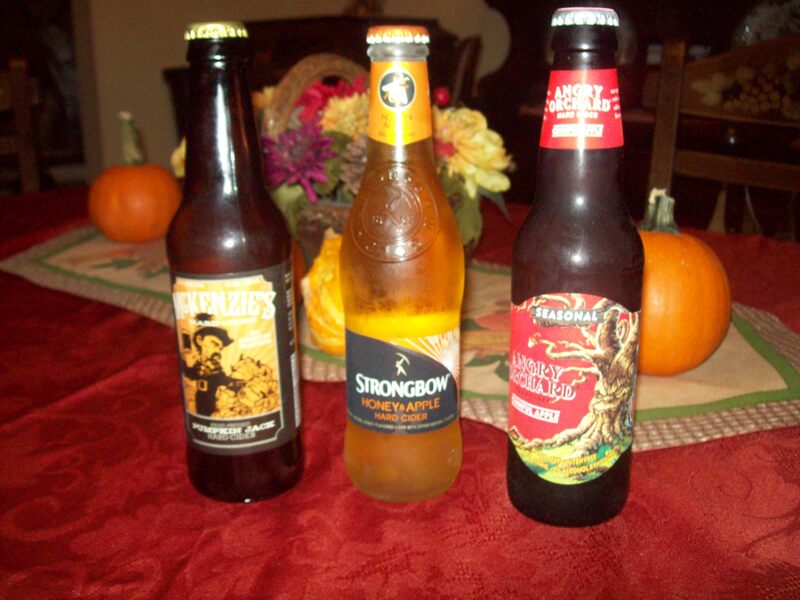 In case you missed it, last week’s review covered Strongbow Honey & Apple Hard Cider. It was really good. This week’s contender? Nooot so good. 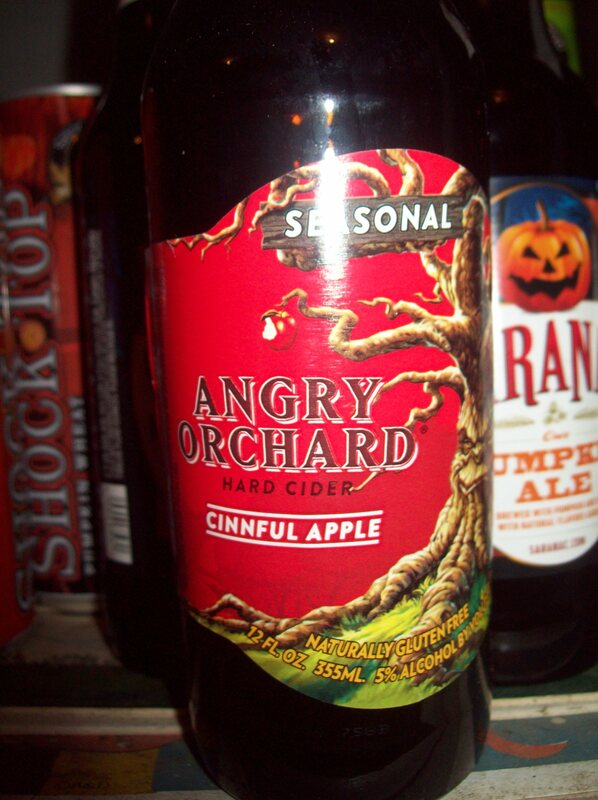 Angry Orchard’s Cinnful Apple. Keeping in the idea of cinnamon being a much-beloved Fall flavor, Cinnful Apple, well… do I even need to explain it? Cinnamon and apples are not only common Autumnal food themes, but they’re also a really yummy combination on their own. So it makes sense that many cider brewers take advantage of this and release a cinnamon variation at least this time of year, if not all year round. Unfortunately Cinnful Apple really doesn’t capture that essence, which I guess isn’t tremendously surprising considering that Angry Orchard was originally started by Sam Adams when they found out hard cider was a thing that was growing in popularity. You can’t expect the same kind of love and craft to go into something that was slapped together a couple years ago for the sake of making money. Angry Orchard Cinnful Apple tastes just okay. It’s not bad, it’s just really, really average. And the reason being for this is mostly due to the fact the cinnamon flavor is fairly weak. I’ve had all manners of spiced ciders, both hard and soft, which have ranged from warm and spicy to essentially tasting like a craft store is in your mouth. Cinnful Apple isn’t even on that playing field, oddly enough. The cinnamon taste is subtle to the point of being barely noticeable, and even then it’s in an awkward flavor order too. You don’t quite notice it when first sipping the cider in your mouth, and it’s already gone by the time you swallow. It exists in this strange state where you sort of pick up on it once it’s been in your mouth for about a second, and it’s not strong enough to linger on your tongue or anything fancy like that once it’s gone. I’m gonna recycle this pic for this post, if you don’t mind. Don’t get me wrong, Cinnful Apple isn’t the worst cider I’ve ever had, it just really has no right existing. That’s really what this cider boils down to, it tastes fine, but it’s nothing to get excited about if you’re looking for a nice Fall-y beverage to sip. If you dislike the taste of cinnamon, but want just the slightest hint of it in your drink, then this cider is for you. If not, it’s not worth it really. Save that October craving for other brands, and consider drinking ciders that aren’t owned by giant, heartless beer corporations looking to jump on the recently popular cider train. Should you drink Cinnful Apple? Posted on October 24, 2014, in The Snack Report and tagged apple, disappointing, drinks, Fall. Bookmark the permalink. 1 Comment.